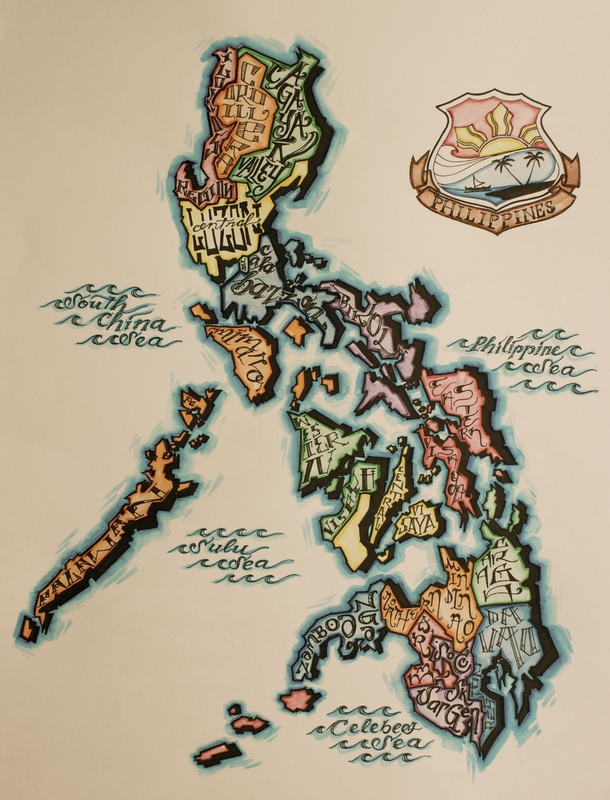 Iz Inocencio Jr. (born in Agana, Guam) is a southern California based artist, known for his mix-media (Halo-Halo) art pieces based on his Philippine heritage and his upbringing as a public artist in Southeast San Diego. 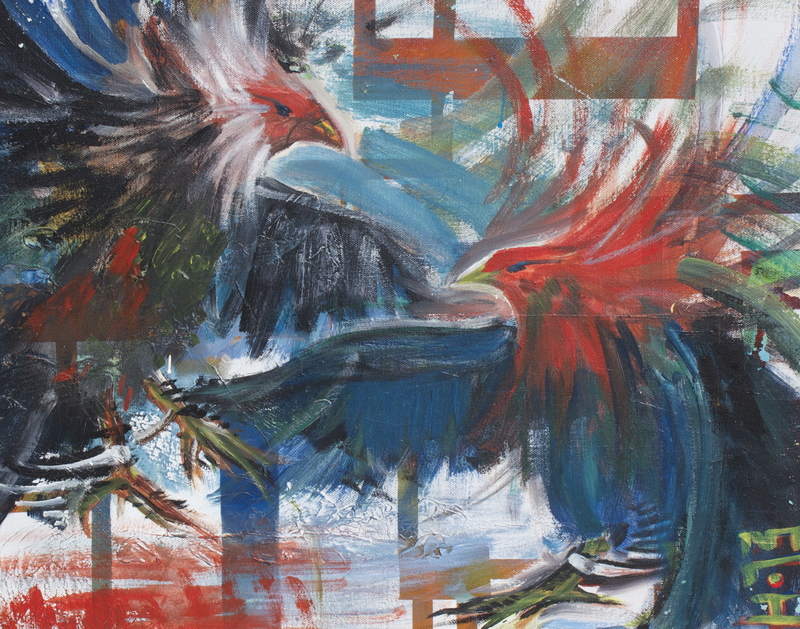 His works are painted onto various backgrounds, such as wood or used-canvases found at thrift stores and garage sales. According to the artist, "I like painting over old forgotten works of art in order to give the canvas life, with its original art as the soul of my painting." Inocencio’s style has been described as a fusion of Expressionism, Art Deco and Graffiti Art, with primary influences like Vincent Van Gogh, Fernando Amorsolo, Alfonse Mucha, and his community. After graduating from Morse High School in 1993, Inocencio attended Southwestern College and transferred to SDSU. He graduated in 2000 with an Elementary Teaching Credential and currently works as a full time artist and child educator in the Chula Vista Elementary School District. Originally painted this one for the fam and decided to make fresh prints of it. 23 signed and numbered. Dedicated to all the graduating (or just temporarily attending) classes of Morse High School. C/o 93 stand up! While the JVCheer hollers the anthem “Tigers Fight Fight”. Posted in Uncategorized on May 25, 2017 by Iz. Participants in the sport and art of motorcycle roadracing. Contrary to popular opinion, most are not wreckless and do not have a death wish, but rather tend to be methodical, analytical and reasonably cautious. Motorcycle roadracing doles out severe physical punishment to those who ride beyond their abilities, and so wreckless tendencies are weeded out in short order. Having said that, it must also be noted that all motorcycle road racers share an insatiable and inexplicable need for speed. The ambitions of a ridah! Posted in Uncategorized on August 30, 2016 by Iz. Pick up this limited edition letterpress print by TheKwentoThesis.com as a reminder of how far you’ve come and never forget where you came from. Pressed on a Vandercook No. 4 Proving Machine at Visualchemist Studios. 7″x10″ image on 11″x14″ 100 lb pure white, cold press paper. Limited edition set of 54. Signed and numbered. Posted in Uncategorized on May 24, 2016 by Iz. Hebrews 13:3 Remember those who are in prison, as though in prison with them, and those who are mistreated, since you also are in the body. Where America’s day begins. Guam roots run deep in California. It is a U.S. island territory in Micronesia, in the Western Pacific. It’s distinguished by its tropical beaches, Chamorro villages and ancient latte stones (stone pillars). Tumon Bay is a hub with bars, shops and an aquarium. 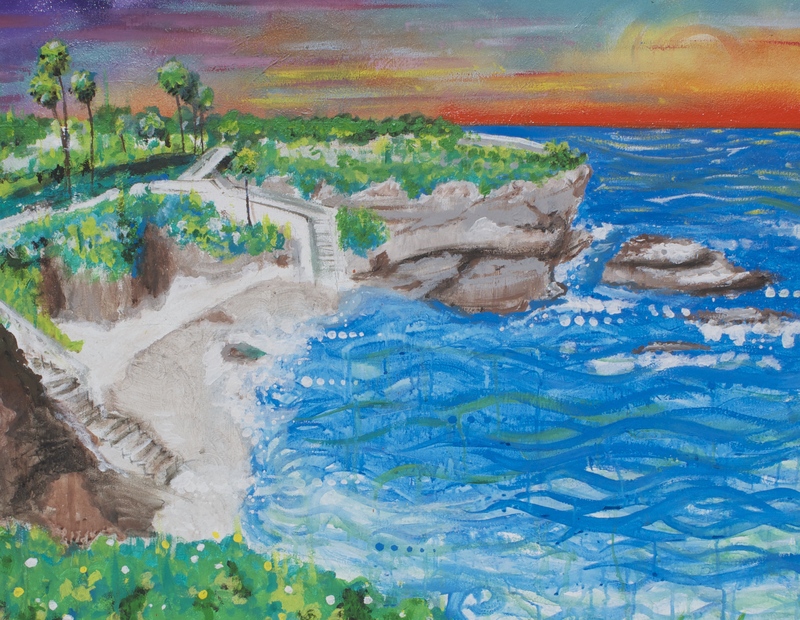 Beaches include Ritidian Point, part of a wildlife refuge, and storied Two Lovers Point. Offshore are dive sites such as Apra Harbor’s sunken warships. We got fam up in Dedido. 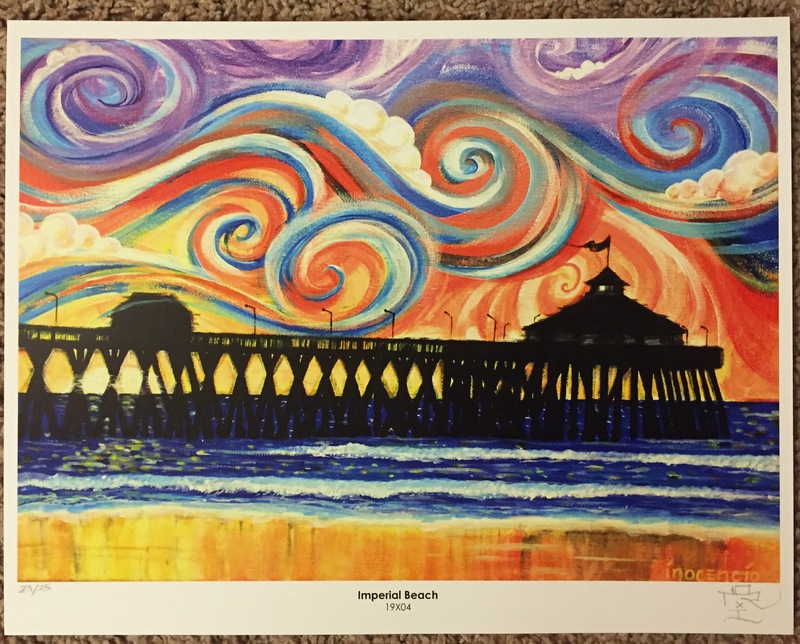 Imperial Beach is the southernmost beach city in Southern California and the West Coast of the United States. It is in the South Bay area of San Diego County, south of downtown San Diego and northwest of downtown Tijuana, Mexico. Founded in June 1887, the city got its name from Imperial County, California. Farmers and land owners from the Imperial Valley came to the area in the late 1880s seeking cooler weather during summer months. In March 1887, over 2,000 laborers descended upon nearby Coronado, California to skillfully construct the Hotel del Coronado, the largest resort in the world at the time. A large number of the workers stayed in Imperial Beach and some would later make it their permanent paradise. We grew up watching Kung Fu movies and learned a lot from Bruce Lee. 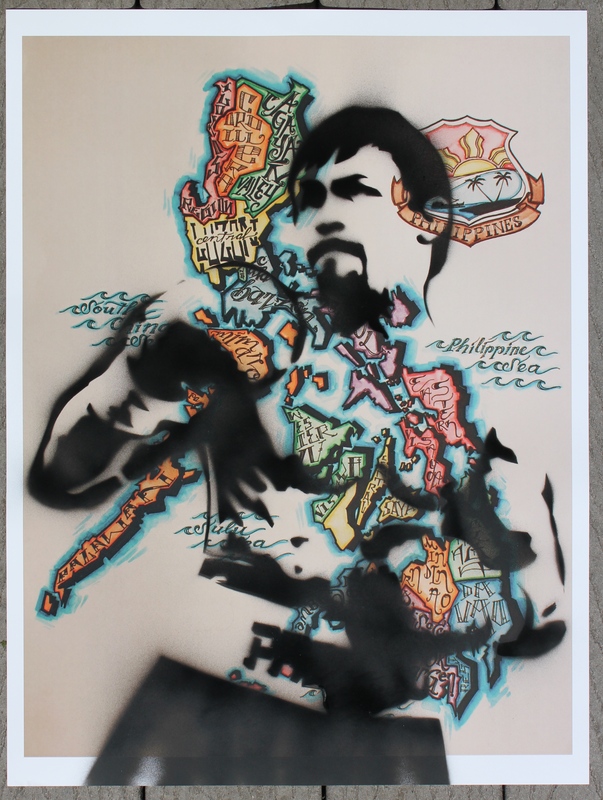 A special edition, stencil of Filipino boxer Manny Pacquiao (a.k.a.Pac-Man, Ang Pambansang Kamao (The Nation’s Fist), The Destroyer, Fighting Pride of the Philippines, Pambansang Ninong (National Godfather), The Fighting Congressman and The Filipino Slugger) on my hand crafted “Map of the Mother Islands”. 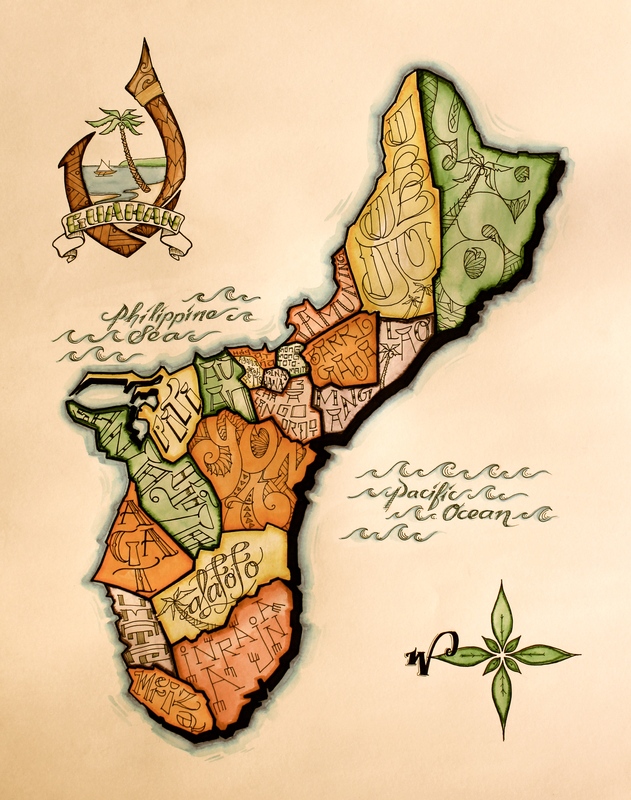 This hand designed illustration is dedicated to the 7,107 islands that make up the Philippines. The Pearl of the Orient Seas. Roots. “I remember as a little boy I ate one meal a day and sometimes slept in the street. I will never forget that and it inspires me to fight hard, stay strong and remember all the people of my country, trying to achieve better for themselves.” -Manny Pacquiao. 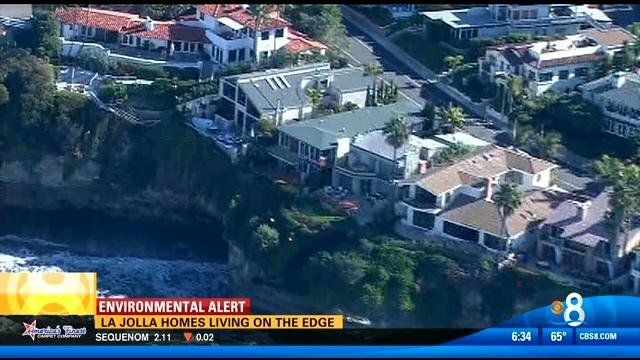 La Jolla Cove is a small, picturesque cove and beach that is surrounded by cliffs in La Jolla, San Diego, California. The Cove is protected as part of a marine reserve; underwater it is very rich in marine life, and is popular with snorkelers and scuba divers. The swells that often roll in from the open ocean here can be rather large and strong, and so being in the water at the Cove is not always suitable for people who do not have good water skills. Evian bottled water, anyone? 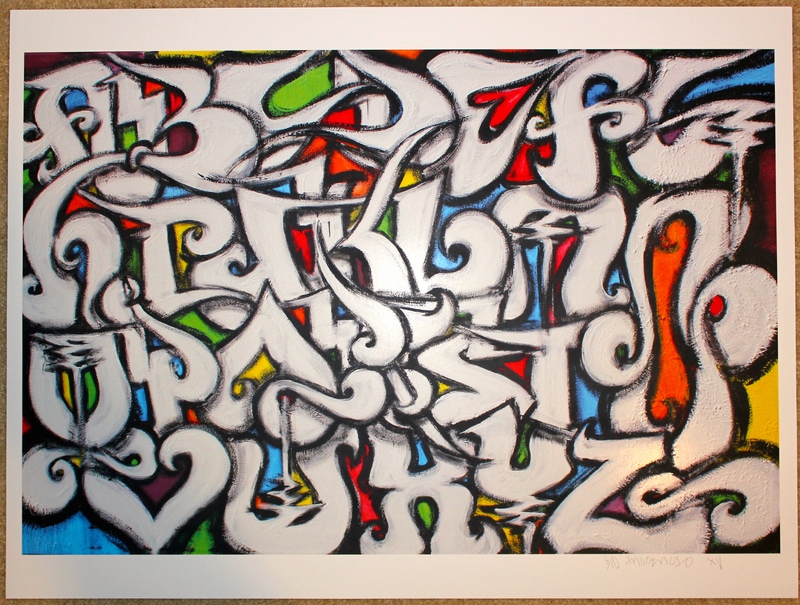 A painting based on the alphabets with a ancient filipino baybayin (indigenous writing) twist to it. 26 letters in the alphabet. They’re all a bunch of characters. When it opened in 1888, it was the largest resort hotel in the world. It has hosted presidents, royalty, and other bourgeois cats through the years. 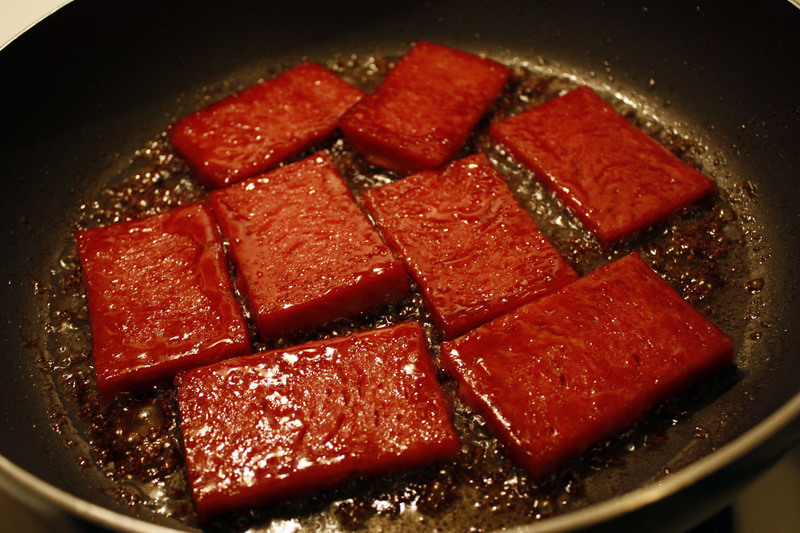 Not to say we’re not bourgeois, it’s hard to go back to hamburger helper after having filet mignon but we still fry up the spam with brown sugar when its time to celebrate. The hotel has been featured in numerous movies and books. Check it out on Etsy. Glossy to keep it Flossy. A young boy (balong) came to his Apong (grandfather), filled with anger at another boy who had done him an injustice. 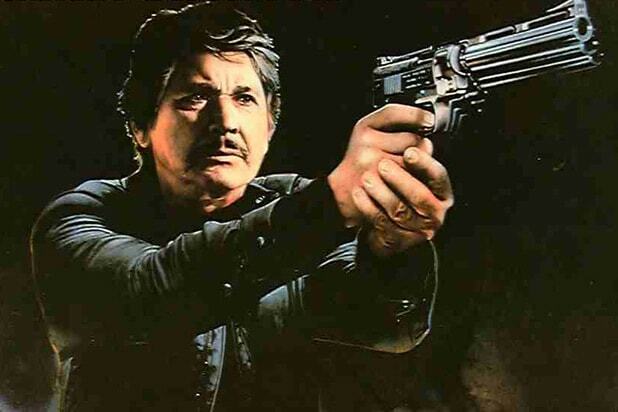 The Apong said to his grandson, “Balong, hali ka dito. Let me tell you a story. I too, at times, have felt a great hate for those that have taken so much, with no sorrow for what they do. But hate wears you down, and hate does not hurt your enemy. Hate is like taking poison and wishing your enemy would die. I have struggled with these feelings many times.” “It is as if there are two roosters inside me; one rooster is good and does no harm. He lives in harmony with all around him and does not take offence when no offence was intended. He will only fight when it is right to do so, and in the right way. But the other rooster, is full of anger. The littlest thing will set him into a fit of temper.” “He fights all the time, for no reason. He cannot think because his anger and hate are so great. It is helpless anger, because his anger will change nothing. Sometimes it is hard to live with these two roosters inside me, because both of the roosters try to dominate my spirit.” The boy looked intently into his eyes and asked, “Which rooster will win, Apong?” The Apong smiled and said, “The one I feed”. 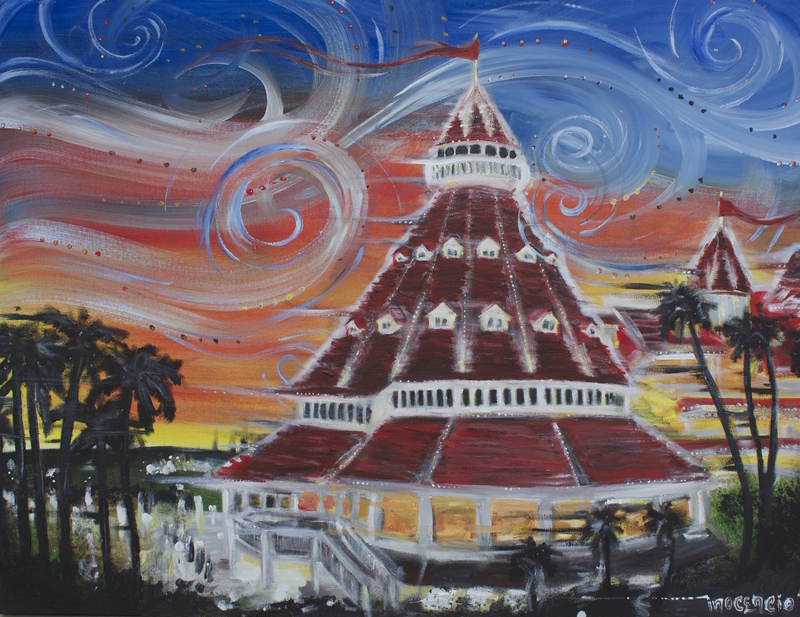 “Stay Gold San Diego” This is one of my favorite landmarks. 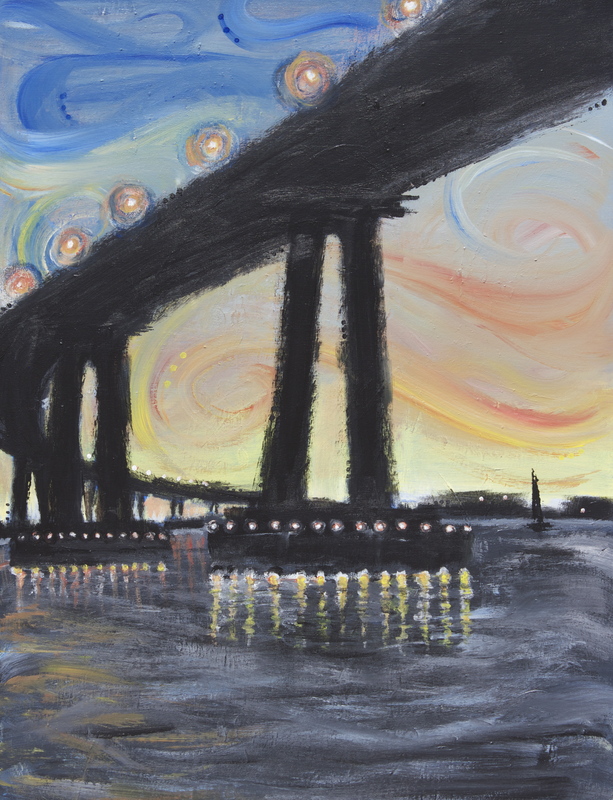 God willing, I’ll probably paint several versions of this bridge from different angles later on in life. 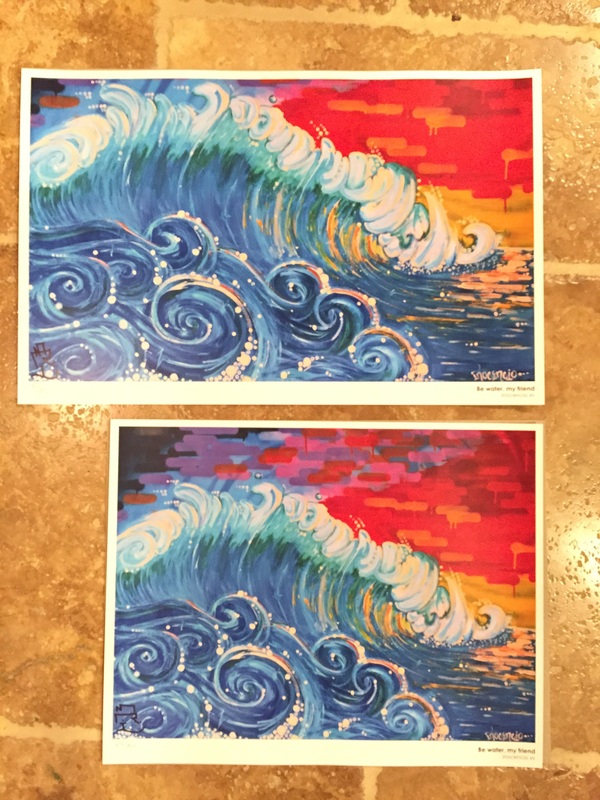 Painted back in 2010, we were encouraged by locals as well as past residence of San Diego to share the “gift” by creating a print of it. Looks great framed for the house or thumbtacked in the garage/man-cave. 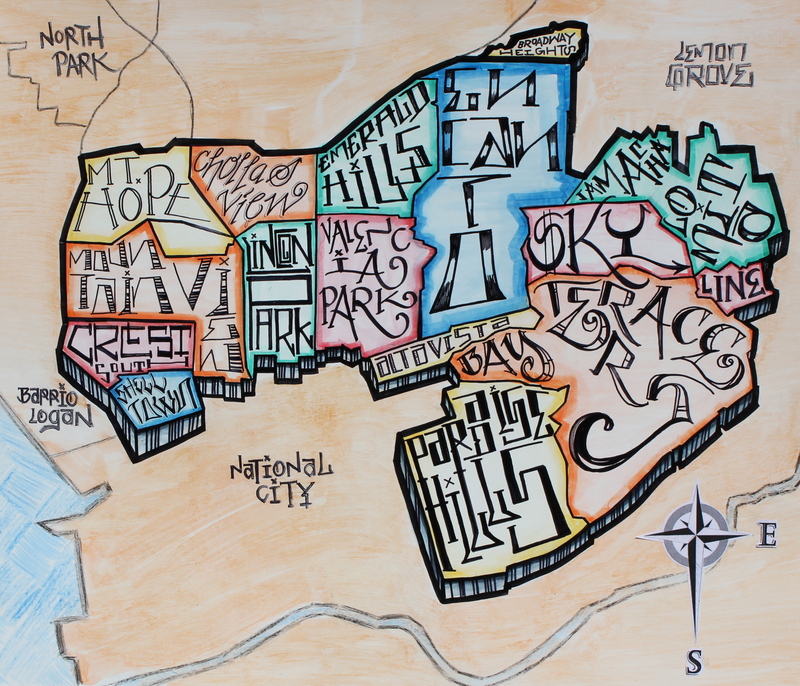 Southeast San Diego holds a special place in the hearts of its past and present residents. Like the metal pea that clinks in a can of spray paint, it stirs the spirit. Putting the old neighborhood on the map! This one’s for the home team(s).